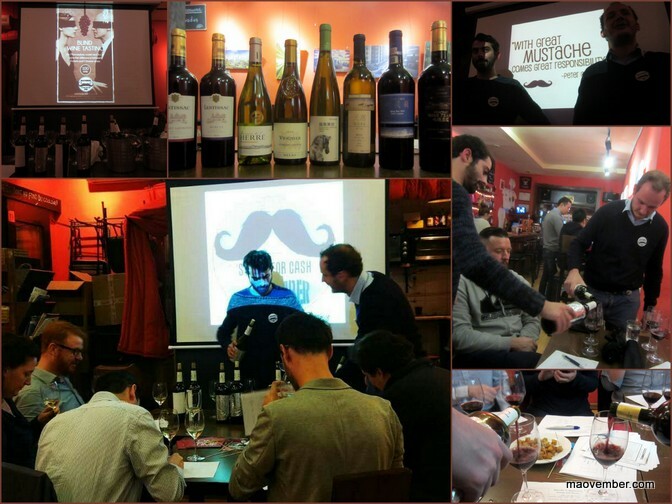 Eager tasters tested their tongues on French and Chinese wines during an event at Cafe de la Poste on October 27. Attendees tried pairs of wines, one French and one Chinese, blind and guessed what country each one hailed from and voted on what they liked best. With eight wines on hand, there was plenty to go around and plenty of debate, too. Afterward, attendees played ‘basket-bola’–using paper balls and an ice bucket in lieu of a basket—-for rmb10 per game and enjoyed Good Works coffee shots at rmb20 per serving, with all funds to Maovember. All in the all, the event raised rmb900 from the tasting and rmb530 from the coffee shots and basket-bola, for a total of rmb1430. Thanks to Justin and the team at Cafe de la Poste!